To see the fruitfulness in a life—ours or another’s—we have to look closely. It’s said that a tree is known by its fruit. But what if we can’t see the fruit? Sometimes we have to get closer to the branches. 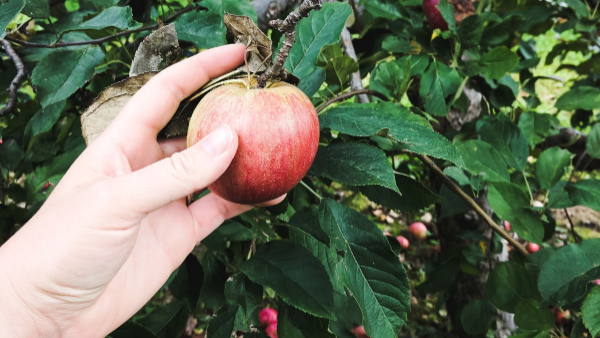 And for a short season, yes, there’s evidence of fruitfulness easily visible to the passive bystander—and we like to fix our opinions based on that annual anomaly. Most of the time, though, fruitfulness or unfruitfulness requires an intimate inspection. Before colorful ripeness, there is unripeness—yet it’s still fruit. The only difference is time. An olive tree from ten feet away in midsummer looks only to be branches and leaves, but upon a closer look—stepping in, fixing one’s eyes—the tree is bursting with green olives camouflaged against the leaves. An arbor lined with grape vines and covered by intertwined branches with large, shady leaves can appear, from a distance, as simply a respite from the sun—until stepping closer, reaching one’s hand to part the leaves, clusters of sweet grapes surprisingly spring out. So too with us. There is fruit in our lives. There is fruit in the lives of those around us. But we have to get closer. To go deeper. Sign Up For Our Awesome Newsletters!